We’ve all been there. You’re comparing two joint supplements, trying to decide which one is best for your horse. The first bucket has 5,000 mg of something you think you’ve heard of, and the second has 2,500 mg of two ingredients you can’t even pronounce. Frustrated and more than a little confused, you end up picking the one with the pretty label, or the more scientific-sounding name. Shopping for joint supplements is tough. But don’t worry, we’re here to help. We’ve identified the most popular joint supplement ingredients, and we’ll explain how they work and what levels may be appropriate for your horse. Glucosamine: Research suggests that Glucosamine not only aids in the production of new cartilage, but also inhibits cartilage breakdown. Chondroitin Sulfate: Stimulates the production of Hyaluronic Acid and appears to work with glucosamine to support cartilage by stimulating production and inhibiting breakdown. Hyaluronic Acid (HA): An integral component of joint cartilage and joint fluid, providing both lubrication and shock absorption. HA blocks inflammatory reactions, protecting tissues in the joint, making it especially useful in acute situations as well as flare-ups of chronic joint conditions. MSM: A naturally occurring compound best known for its ability to fight inflammation. Research has shown that MSM protects tissues against the damaging effects of exercise and stress. MSM is also a highly usable form of sulfur (necessary for the formation of connective tissues), making it vital to joint, tendon and ligament health. Vitamin C: A potent antioxidant, Vitamin C protects tissues throughout the body and is vital in the production of connective tissues, including cartilage, tendons and ligaments. Avocado Soybean Unsaponifiables (ASU): Research shows that supplementing with ASU significantly reduces the severity of cartilage breakdown and increases the production of natural Chondroitin Sulfate. Devil’s Claw, Yucca and Boswellia: Herbs used for pain and inflammation. Devil’s Claw can stimulate the secretion of stomach acids, and should be used with caution in animals at risk for ulcers or being administered NSAIDs like bute. Phenylalanine: An amino acid involved in the production of certain brain chemicals such as epinephrine and dopamine. Studies suggest it may help manage chronic pain because of its proposed ability to support endorphins, which are the body’s natural “feel good” chemicals. Super Oxide Dismutase (SOD): The most effective antioxidant in the body. SOD is the first line of defense against free radicals that damage the cells that make up the joint structures, like cartilage. Collagen and Silica: Provide soft tissue support. Collagen is the main structural protein found in connective tissues, like tendons and ligaments, and supplementing with it may help those tissues remain strong and resilient. Silica is required for cartilage formation and is thought to help maintain the strength of tendons and ligaments. Devil claw, bosolia and yucca are all on USEF drug test list as banned….. how can you compete knowing theses are part of your feeding program…..they have to be off at least 14 to 20 days to pass a drug test. All drug testing random selection. That being said, USEF does advise competitors to use caution when feeding any “natural” plant ingredient such as an herb during competition. 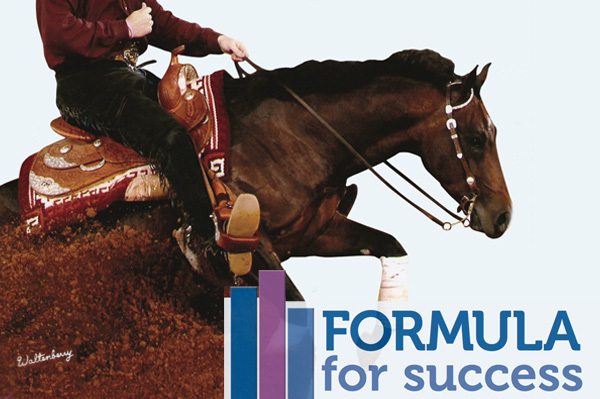 If you are showing your horse in rated competition and are concerned about feeding any herbal ingredients, we recommend choosing a formula that doesn’t contain herbs. A few top selling joint supplements that do not contain herbs include: Cosequin, Cosequin ASU, SmartFlex II Support, SmartFlex III Ultra and Recovery EQ. We hope this information is helpful! If you have any other questions or concerns, please don’t hesitate to contact our Supplement Experts at 1-800-461-8898 or via email at CustomerCare@SmartPak.com – they’re always happy to help! So will the 2016 version of Smartflex Resialliance III show up on the drug test? Thanks for your question. USEF never states that a supplement of any kind is “legal” and therefore SmartPak cannot state this either. However we can tell you that for SmartFlex III Resilience Pellets, none of the ingredients are specifically listed as forbidden substances with USEF at this time. We are reformulating the supplement to remove the inactive ingredient grape pomace and replace it with alfalfa meal. Grape pomace can be unpalatable for some horses, and alfalfa meal is known for being incredibly tasty – even for the pickiest eaters! We would also recommend referencing the rulebooks for this and any other organization under which you may compete.